The Cybex Eagle NX arm extension is a premium piece of strength equipment that needs no setting up or seat adjusting thanks to its innovative "sit down and go" design. The arm pads encourage stability and correct positioning throughout each repetition and the floating arms help you control your motion. Other great features include holders for accessories and informative placards and the weight machine is strong and robust so you can work out in confidence and safety. for submitting product information about Cybex Eagle NX Arm Extension We aim to answer all questions within 2-3 days. 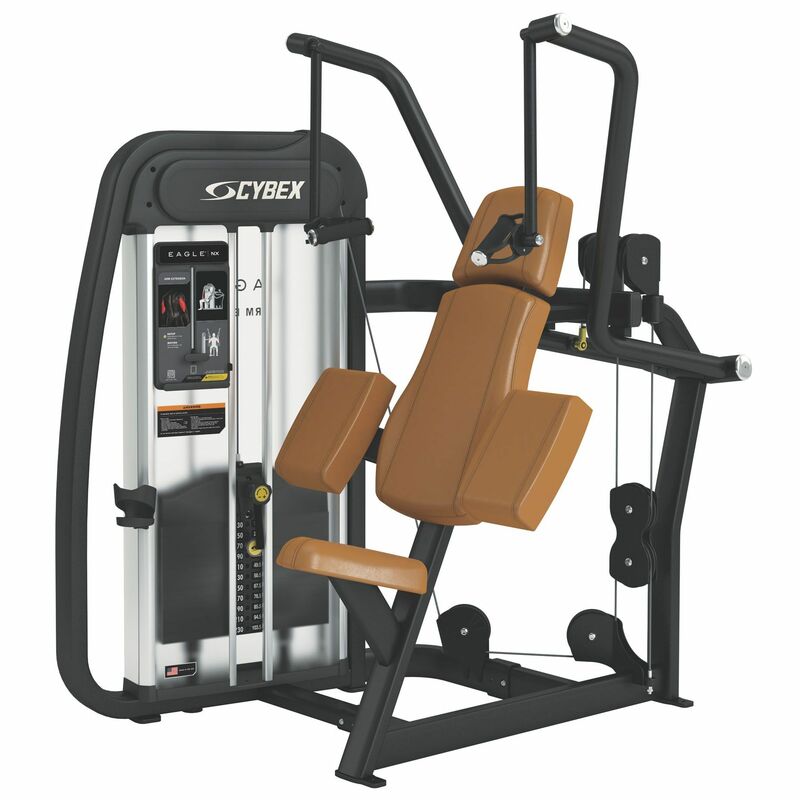 for submitting product information about Cybex Eagle NX Arm Extension. We aim to answer all questions within 2-3 days. If you provided your name and email address, we will email you as soon as the answer is published. for submitting product review about Cybex Eagle NX Arm Extension.